Created by Colette Haydon (the mastermind formulator behind many of your favourite beauty products) LIXIRSKIN is the streamlined range that’s about to change your approach to skin care. Championing the efficacy of vitamin C in acid form – L Ascorbic Acid 10% – this innovative wash-off treatment neutralises oxidised sebum, free radicals and UV rays (which can zap your skin of glow and cause pesky pigmentation) leaving your complexion vibrant, luminous and more even toned from day one. Founder of LIXIRSKIN Colette Haydon (doctor in dermo-pharmacy and the mastermind formulator behind many of your favourite ‘cult’ products) is about to change the way you view skin care. A hero product in her streamlined, fuss-free and seriously pretty millennial pink range, Vitamin C Paste harnesses the unrivalled efficacy of vitamin C in acid form – L Ascorbic Acid 10%, which LIXIRSKIN advocates is more effective than any ‘pretender derivatives’. This formula is designed to be rinsed off, partly to 'activate' the vitamin C and partly because acid should not remain on your face all day. Getting to work in a few minutes (or 15 if you have more time) this neutralises dulling oxidised sebum on the skin’s surface to uncover the radiance beneath. It also acts as a shield against UVA and UVB rays, regulates melanin production and fights free radicals, diminishing pigmentation and promoting a brighter, more even toned appearance. Enveloping your face with warming jasmine and mandarin, the paste melts beautifully into skin, leaving it vibrant, luminous and smooth from first use. Refreshingly flexible to use, LIXIRSKIN suggests using this every morning for a few minutes or, on those rare days when you have time, for longer. Every morning, warm a pea size of paste in the palm of clean hands and apply to your face, eye contour, lips, neck and décolleté, massage with damp fingers, leave for a few minutes and rinse with a clean towel mitt. If it is one of those mornings when you just don’t have the time, don’t worry, you can catch up the next morning; if, on the other hand, it is one of those mornings when you have more time, leave it on for a bit longer. I got it in my Goody Bag, and I'm very happy about it because it isn't worth the money. After using it once I didn't see any effect from it. No cleansing, no smoothing. After 2 weeks I got an allergic reaction... After other 2 weeks I gave it a second chance, but the allergy came faster. Be careful with vitamin C. It is not a good idea to use it on the skin. The vitamins must be used as a food. Don't recommend. I have gone through so many tubes of this (no really, I have lost count) It’s a permanent fixture in my morning routine for bright skin, even when I get up for work at 5 am. I’m on to my 2nd vitamin c paste. It’s so simple to put on first thing in the morning and within minutes, skin looks lit from within. Highly recommend. I used this in the morning when I wasn't feeling my best and you really can see the difference. It makes your skin brighter and more alert! will be a staple in my beauty box from now on!!! This is my 2nd Tube! I really love that warming sensation when applying the product on the skin. I have an tingling experience with other vit C products but not for this one. Also I can see brightening effect in the 3rd week. Love it! The packaging is so cute though! Five minutes in the morning and your skin really notices it. I have very sensitive skin and I have not caused any reaction. I will certainly repeat. I got this in the 2018 Goody bag and feel in love! It instantly refreshed my skin and felt great! I have now been using it for a month so I think I can give a fairer review. So I use this most mornings and keep it on as a brush my teeth and I have noticed my skin tone getting better. I had stopped using my Liquid Gold through the mounting fear of over using acids and ruining my acid mantle. However I might need to include it again because I have noticed blackheads appearing which is normal with the use of vitamin C products. It is not nearly as bad as when I used the ordinary Vitamin C suspension, so I am willing to play around with my skincare to see if I can keep using this as since including this I have felt more and more confident to leave the house without foundation. I bought this and did have high hopes as it's developed by a skin doctor and after over a week of use, it's made a difference to my skin for sure. My scaring on my cheeks has faded and I love how much brighter my skin looks. I've been using it every morning and leave it on my face while I brush my teeth and it works well. Sometimes I can feel the vitamin C (ascorbic acid) sting a tiny bit but it's nothing intolerable. I'm glad I bought this! I’ve already given this a glowing review, however these past 2 weeks I’ve been avoiding this because it has a distinctly musty smell. It’s very unpleasant on my skin and I have no idea what happened. It’s also separated, so I shake the tube before applying, but the smell is still there. Disappointed. After reading the review by Cult Beauty Co-founder, I was encouraged to try this mask. I've used it a couple of consecutive days and love the results. Will continue to use and purchase! I had high expectations of this product based on all the hype, not to mention the glowing reviews. Sadly, this mask made no difference to the look or feel of my skin after several uses. Even worse, it completely separated after less than 2 months, and the tube was still 80% full. I received this delightful pink wonder early this week and have been using it every morning. It’s truly wonderful and leaves my skin plumped and feeling like velvet. I’m in my mid 50s so hardly a spring chicken, but with a bit of help from this gel mask - and some other goodies - my skin feels fabulous. I have been very intrigued by this whole line since I first stumbled across it while browsing skincare. I was immediately drawn to the lovely packaging and the simplicity of the whole range of products. 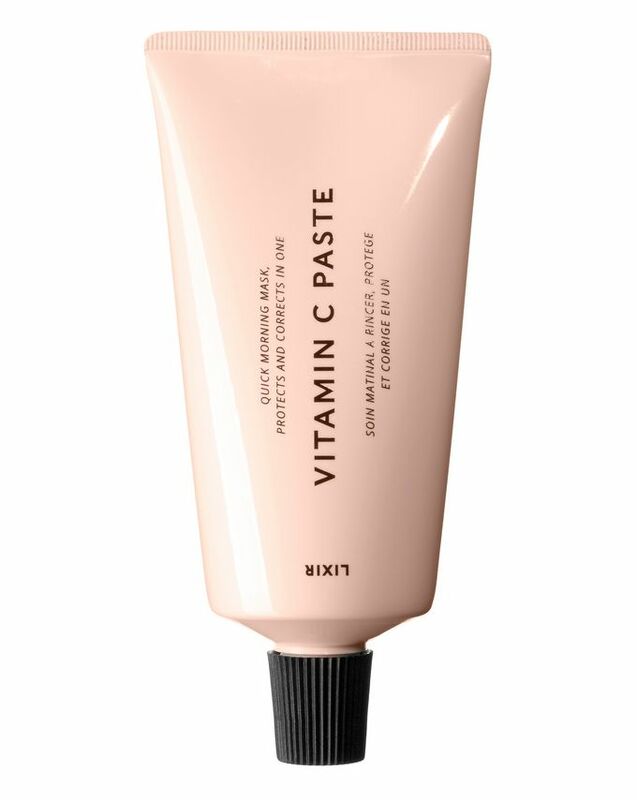 I decided to try the vitamin C paste as it was a new concept to me and I have nothing similar in my current regimen. Well let me just say I am so delighted I took the plunge, this stuff is magic! I suffer from redness and hyper-pigmentation and I have tried many different vitamin C products in the hopes of improving my skin (including the famous Drunk Elephant C-Firma Serum) however this is definitely the best I have used by far. I apply it every morning after cleansing and leave it on for around 5 minutes while I brush my teeth etc. When I wash it off, my skin is so bright and glowing, it looks amazing. I have also been noticing some real improvement with my hyper-pigmentation. This has now got a permanent place in my skincare routine and I will definitely be trying out some of the other products from the range in the future. I spend a lot of time, and too much money, hunting for the perfect thing to give me that glowy, even skin tone we're all hunting for. I've stopped wearing foundation thanks to this; I only wish I'd found it sooner. I just got this a few days back and so far it has made some difference to my skin most definitely. It is more moisturised, supple and I notice a brightness. I leave it on for good 15 mins or so in the morning and I can tell the difference. Hoping it helps my scars fade away I plan to repurchase this. Worth a try! With every skincare routine, you'd have to give it time to settle in and let your skin adjust. It works well for me. I have skin that has pimples or whiteheads due to hormones but using this product does clear up my skin, making my scars lighter and skin more supple. Like everything else from the Lixir range, I love it. Everything about this is new, but it delivers exactly what it promises. Clear, supple, nourished skin to start the day. Only good things to say about this, definitely worth a try if you're curious. Everything else pales in comparison now. I have tried many Vit C products, I love this, I have used it for 3 weeks now. I don't use it every day, sometimes I leave on for 15 mins or 5 mins. It feels tingly on the skin, can't believe how bright and smooth my skin looks and feels. I also use the emulsion and am about to buy the cleanser. I'm 48, I let my 19 year old daughter try it too, she felt it was a little strong for her, so uses it twice a week. We love. This product has replaced my regular vitamin c serum, my enzyme mask and morning cleanser\mask routine. It surpasses the effects of four different products and simplifies my morning routine. For the price, I am saving LOTS of money! Leaves the skin bouncy hydrated. Deep. Some resurfacing very gentle on my rosacea-affected skin. I believe there has been an improvement in skin strength something my old vitamin c serum hasn't done. I leave on for several hours rehydrating with rose water mist often. No adverse effects on my very sensitive skin. Just the opposite. Major win. Took a chance buying this as I had no clue what vit c would bring to my skincare routine. My skin is quite good for my age (56) so didn’t expect too much change. Used it every morning now for 5 mornings and...WOW....this is fantastic!!! Leaves my skin bright, alive, smooth and sort of taut. Am now about to extend my experimentation further into the products of this brand to put the cleanser and see what it delivers like. If you are sceptical...take a chance on this as you will not be disappointed. I have seriously sensitive skin...so sensitive that I have to limit exfoliating to a few times a week max. I've been using this every morning for the past four days. So far my skin not only tolerates this but turns out so baby soft! I also notice it makes any eye wrinkles seem softened. Also, makeup goes on beautifully. I love this because you can use it as a quick wash or leave it as a mask for a deeper clean. I received this product on the November Beauty Bag 2018. I use it every other morning and I love the fact that it leaves my skin very soft and smooth after every use, however, the smell is horrible. I don't know why, but is very unpleasant. I would keep using it until I finish it although I won't purchase it. I really enjoy the Vitamin C paste. 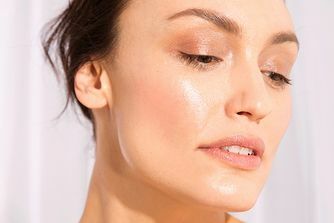 I use it every morning before my skin care, and it has definitely brightened my skin, and given me a more healthy glow! I am on my second tube, and will repurchase for sure. I didn't enjoy this at all. I have hyper sensitive skin around my nose and mouth, and this was quite stingy, also, I broke out after using it. I only used it once, I might try it again just to be sure and not feel like i wasted my money, but I don't want to risk breaking out.. so far I am not a fan. I've been using a combination of LIXIRSKIN products for about 2 months. I really love the effect of those products. It has evened out my skin tone and lightened my scarring. I'm not sure how much this paste did by itself but I do love its texture. I put it on then brush my teeth before I rinse it off. It didn't dry out the skin, and no strong scent either. The only down side is, I think it doesn't last very long. I only use it when I use my Night Switch which it needs to switch out every 3 weeks so I think the paste will only last around 3 months for me even without continuous use. I will consider to repurchase when it has GWP or discount. I have been using this for about a month now. I leave it on about 20 mins, cleanse and then do the rest of my skincare. I have extremely sensitive combination skin and bought this because I like the idea of a minimalist product and a non-leave on acid. It does the job. I see a brightening effect. My problem is that out of the 15 ingredients on the list, 5 are fragrant ingredients that do nothing to improve the skin. Even so, the product still smells like cat pee (that’s just what ascorbic acid smells like, no offence!). The smell doesn’t bother me at all, skincare isn’t supposed to smell nice. Essential oils and fragrance are some of the most allergenic and photosensitizing ingredients in the world. If the end result is bad smelling anyway, why even put all those botanical extracts and essential oils and other substances masking as ingredients but are really just stealth fragrance ?!?? It just doesn’t make any sense to me. I really like this product, especially since I’ve started to use it with my FOREO UFO! Skin is brighter and just glows. However, I have to make sure I have an oil-free sunscreen to follow up and strong AHA/BHA and retinol system going for my evening routine to avoid oxidisation. This isn’t an issue which is solely reserved to this product though, it’s something that I think combination/acne prone skin tends to face when using vit c products... and in its defence, as it rinses off it doesn’t oxidise as badly as some other vitC products I’ve tried. Also, yes it separated but I make sure I give it a shake before using it. I had very high hopes buying this product, hoped it would be an irritation-free way to give myself a perfect glow. Irritating free- yes when applying (which is uncomfortable because of texture en runniness) but the day after I get little breakouts all over my face. I've got very combination skin, and this product is very gentle and brightening on my drier parts but broke me out horribly in the oilier parts of my face. Its a real shame, but if you even slightly prone to acne I would avoid. Don&#8217;t know what the fuss is about. This doesn’t do anything to improve my skin, it really does smell bad but I’d put up with that happily if it worked. I’ve given it 2 stars because it doesn’t make my skin any worse either. This was an expensive mistake. I'm onto my second tube of this product. I initially bought this when there weren't any reviews and because CB was offering a discount code. I was always a bit iffy with leaving an acid on my skin during the day. I've used this for over 3 months daily, and I can truly say that it has made an improvement in my skin. It's one of those products that are 'not a sprint, it's a marathon.' I love the simplicity of the packaging also, and there's no waste - you can get every last bit. It is ok I guess but I don't see a really big difference on my skin - and it smells really weird for me, kinda like urine and that makes it hard for me to even use it. Slowly but surely getting the job done. First off, the smell is very off-putting and almost foul (like a fart or a garbage can) but not enough to be a complete dealbreaker. It doesn't take much effort - I usually pop it on before I go into the shower and take it off after. It has a 10% LAA concentration which is perfect for daily use and in combination with my Vit C serum, I'm slowly noticing a brightness to my skin. I use it every alternate day and can notice the acne scars are fading well. I will continue to use it and repurchase. I have used many terrific products over many years, but this regime is just perfect now for my stage in life. I have regularly used skincare since I was 12, and now I travel a lot and this capsule collection, with the night switches and the brilliant cleanser, everything emulsion and this shot of Vic C every morning is really kicking goals for me. Just love it. I have never used one cream for everything. What a revelation, the softest lips, hydrated eye area, perfect makeup base. Just brilliant. Thank you. I didn’t expect much from this product if I’m honest. I bought it on a whim, because of the reviews (and packaging!). But one morning, I smashed the mask on my face, waited a few minutes, hurriedly washed it off with a muslin cloth, and when I looked in the mirror, I was shocked! My skin looked so radiant and dewy like I’d had 9 hours sleep. Definitely part of my skincare routine now! I love the texture of this and I love using it as part of my routine. The smell, like other reviewers have said, isn't great but it's not a deal-breaker either. I haven't seen a major effect on my skin though so unsure whether I'd repurchase. I wouldn't be without this for my AM cleanse. It really does do everything it promises, and I rather like the fragrance: reminds me that this is a "do" product rather than a "fluffy-smelly" product. Buy it. Can’t understand the issue with the smell. It feels good, leaves my skin looking bright and fresh. Love it. Just to get the only negative thing out of the way, I'm not a fan of the smell but you wash it off so it's not at all a problem. I am a fan of the lack of 'Fragrance' in the ingredient deck so will move on quickly because results is the most important thing, and this product DELIVERS! A speed-mask that I use on a whim as a quick fix to brighten my dull skin and create an even, hydrated surface for an assured GMD (good makeup day). It's a great new addition to my skincare arsenal as my skin becomes dull really easily and I can use this as many times a week as I want to without it irritating my skin. 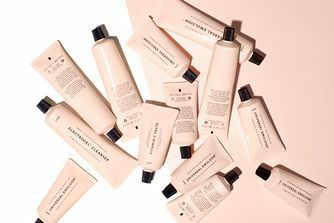 I love the packaging, I love the story behind this brand and Collette is a skin genius, so I look forward to following her journey as a true Cult founder!